I’ve never done it before. My kids didn’t get it. My husband only partially understood it. 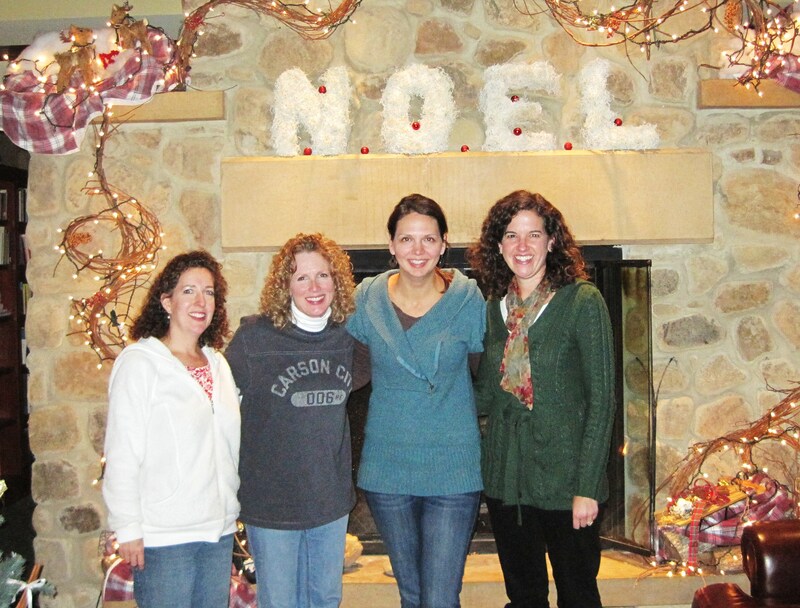 This weekend, I joined three friends for an overnighter at a Franciscan retreat center. We’re talking no TV, no internet, not even any music. Just lots of opportunities to… well, I’ll get to that later. I had such big plans. I thought I might catch up on some writing, or study for some lessons I’ll be teaching. I half-considered getting the Christmas cards out of the way. Oh, yes. Wendi the Responsible was going to get some work done. Sometimes, God gives you what you need before you even know you need it. After a short hike in the woods, my friends and I sat down to lunch. Just as we were finishing, I looked out the window. Snow! Perfect, I thought. I’ll grab a cup of joe, head to my room, pop open the laptop and get some writing done by the window. But as soon as I sat down, all I could do was stare out at the snow. I couldn’t move. The balance of the weekend went about like that. I would pretend to study, write, or read. Then I would find myself wanting not to do, but to be. Sunday morning, I went into the chapel. No one else was there. Just me. Just God. I sat in the front row and looked up at the crucifix in front of the giant picture window. There was no sound. I didn’t know how to have church all by myself, so I whispered the Lord’s Prayer. And that was good enough. I kept replaying the story of Mary and Martha in my mind. All my life, I have been a Martha – doing what I’m supposed to, doing what I think I’m supposed to, doing what other people think I’m supposed to – and sometimes going crazy for it. For once in my life, all I did was sit and look up at Jesus. I didn’t do anything. Well, whaddaya know? Somewhere underneath all of my hyper-responsible Martha-ness is a Mary who can simply sit at Jesus’ feet. Maybe we all have this ability in us. It’s just buried under too many expectations. This Advent, choose what is better. If you do, it will never be taken away from you.